FEAL is a consulting company dedicated to improve the interface between Science Policy and Society by proposing facilitation and mediation services to scientists, policy makers and other stakeholders involved in environmental issues. I am a professional facilitator and a consultant in stakeholder engagement and conflict management related to environmental issues. 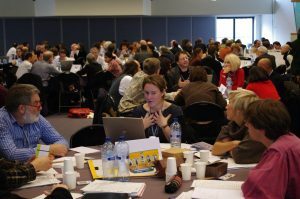 I have organised and facilitated international collaborative summits of up to 250 people, scientific conferences as well as participatory workshops for strategic planning or conflict management. 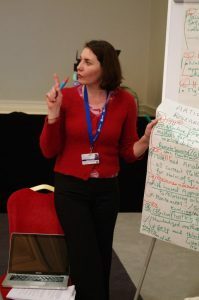 I have trained in collaborative and participatory processes and technics (e.g. open space) and have developed competencies in structured dialogue methodologies and conflict management. I have been working in various contexts at International, European and regional or local levels. I have experience in a wide range of contexts from business to civil society or local authorities and has the ability to tailor facilitation design and collaborative methodologies to best answer my clients needs and objectives. I have a scientific background with a BA. in Genetics and Molecular Biology and a MSc. in Fisheries and Aquatic Sciences. After 10 year working in the field as a freshwater ecologist and river manager, I chose to orient my career towards the Science Policy Interface and specialized in stakeholder engagement and facilitation of participatory processes. I have now more than 15 years of experience in international event organisation and facilitation in various fields and sectors, including development and cooperation, climate change, nature conservation, or water management.